Bathroom and kitchen Cleaners from the restaurant supply superstore. Keep mildew in check in your commercial kitchens with our mildew killers. Soft scrub is the most trusted product to use for sinks showers. 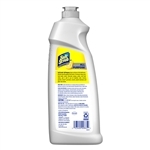 Wholesale commercial Specialty Cleaners including mildew remover and lime remover.